And just like that it is game time here in the Bronx between the New York Yankees and the Boston Red Sox. Rivalry renewed, let’s get to it. 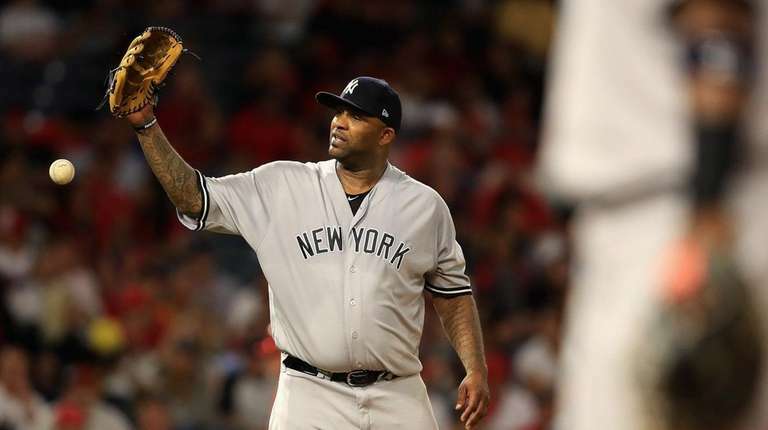 In the first of a three-game weekend set the Yankees will send out CC Sabathia to square off with Eduardo Rodriguez for the Red Sox. The game will be played at 7:05 pm ET inside Yankee Stadium and can be seen on the YES Network locally, NESN behind enemy lines, and on MLB Network if you are out of the regional market like I am. You can also follow along with the game on MLB TV, with the MLB At-Bat app and by tuning into the Yankees radio broadcast on WFAN with John Sterling and Suzyn Waldman. Follow us on Twitter, @GreedyStripes, and “Like” us on Facebook, The Greedy Pinstripes, to keep up with us and the team all season long. Enjoy the game, step on a crack and break David Price’s back, and go Yankees!! The youngins were at it again. Crafty CC who ony any given night can look just as bad as he does good but tonight he was very good.